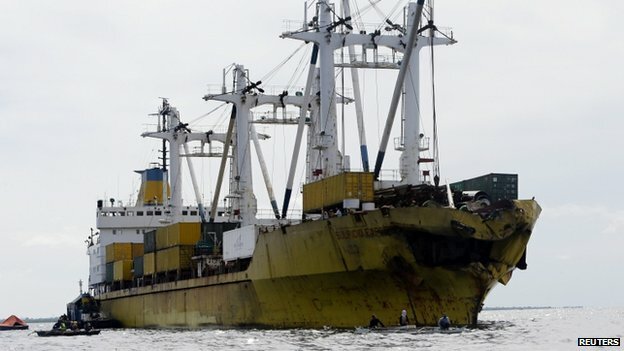 At least 31 people have died and around 170 are missing after a ferry collided with a cargo ship in the Philippines. More than 600 survivors have now been rescued since the MV Thomas Aquinas sank after a collision with a cargo ship on Friday night. Coastguard and military vessels helped with the rescue, but the operation has been hampered by rough seas. The Philippines has a poor record for maritime safety, with scores of people dying in accidents every year. The collision happened on Friday evening near the central city of Cebu - around 2 km (1.2 miles) from the shore. The MV Thomas Aquinas was carrying 715 passengers and 116 crew, according to the latest coast guard figures. "The impact was very strong," Rachel Capuno, a spokesperson for the owners of the ferry, told local radio. "It seems some people were not able to get out," Mr Agudong told radio station DZBB. "I pity the children. We saw dead bodies on the side, and some being rescued." 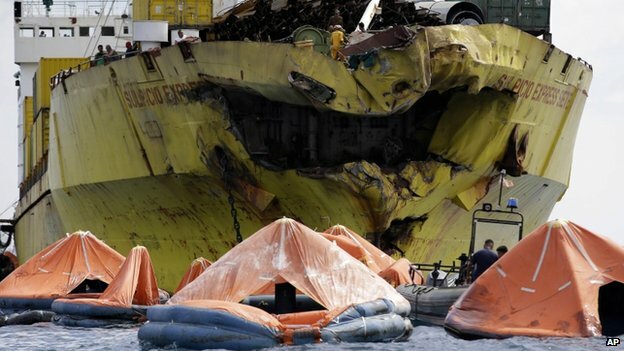 It is believed 58 babies were among the passengers on board but it is unclear how many of them died. Many of the survivors were sick from swallowing seawater and oil that is thought to have spilled from the ferry. Rear Admiral Luis Tuason, of the coast guard, said more bodies had been found on Saturday and that the death toll would almost certainly continue to rise. "Because of the speed by which it went down, there is a big chance that there are people trapped inside," he told AFP. The 11,000 tonne ferry was 40 years old, and operated by a Chinese-owned company called 2Go, reports the BBC's South East Asia Correspondent Jonathan Head. She said the Thomas Aquinas was a "roll-on, roll-off" ferry that transports vehicles and is commonly used in the Philippines. 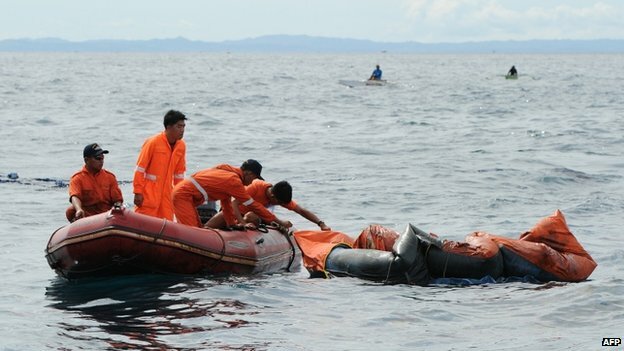 Maritime accidents are quite frequent in the Philippine archipelago because of tropical storms, badly maintained passenger boats and weakly enforced for safety regulations. 1987: Dona Paz ferry sinks after colliding with a fuel tanker, 4,341 people die. 2008: The ferry MV Princess of the Stars capsizes during a typhoon, killing nearly 800.